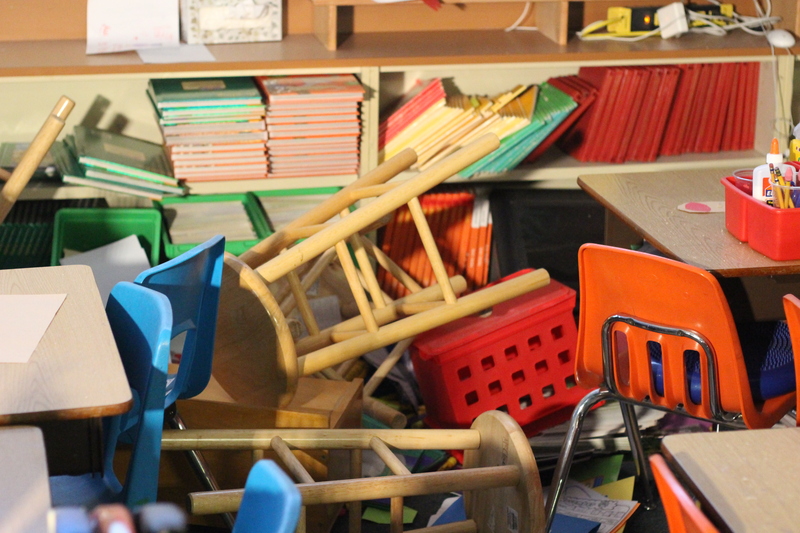 Two schools in Eagle River will be closed next school year due to damage sustained during November’s magnitude 7.0 earthquake. The Anchorage School District announced that recent structural engineering reports determined that Gruening Middle School and Eagle River Elementary School would not be available during the 2019-2020 school year. Gruening students will remain integrated into Chugiak High School next year. Meanwhile, the district is looking to address the more “complicated” issue of Eagle River Elementary students being divided between Homestead, Birchwood ABC and Ravenwood Elementary schools. The district says it plans on weighing keeping families together in the schools versus separating them by grade level. For all Anchorage students, the Anchorage School Board voted Jan. 22 to approve school calendar adjustments to make up for the six days students missed as a result of the earthquake. Half days that were scheduled for Feb. 20-22 will now be full days. The parent-teacher conferences that were scheduled for those days will be rescheduled by principals and teachers of the respective schools.